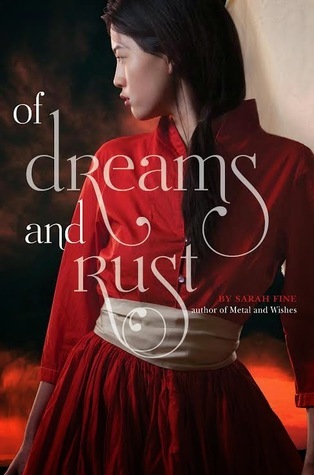 War erupts in this bittersweet sequel to “Of Metal and Wishes”, inspired by The Phantom of the Opera and called “relentlessly engrossing” by The Romantic Times. In the year since the collapse of the slaughterhouse where Wen worked as her father’s medical assistant, she’s held all her secrets close. She works in the clinic at the weapons factory and sneaks away to nurse Bo, once the Ghost, now a boy determined to transform himself into a living machine. Their strange, fragile friendship soothes some of the ache of missing Melik, the strong-willed Noor who walked away from Wen all those months ago—but it can’t quell her fears for him.